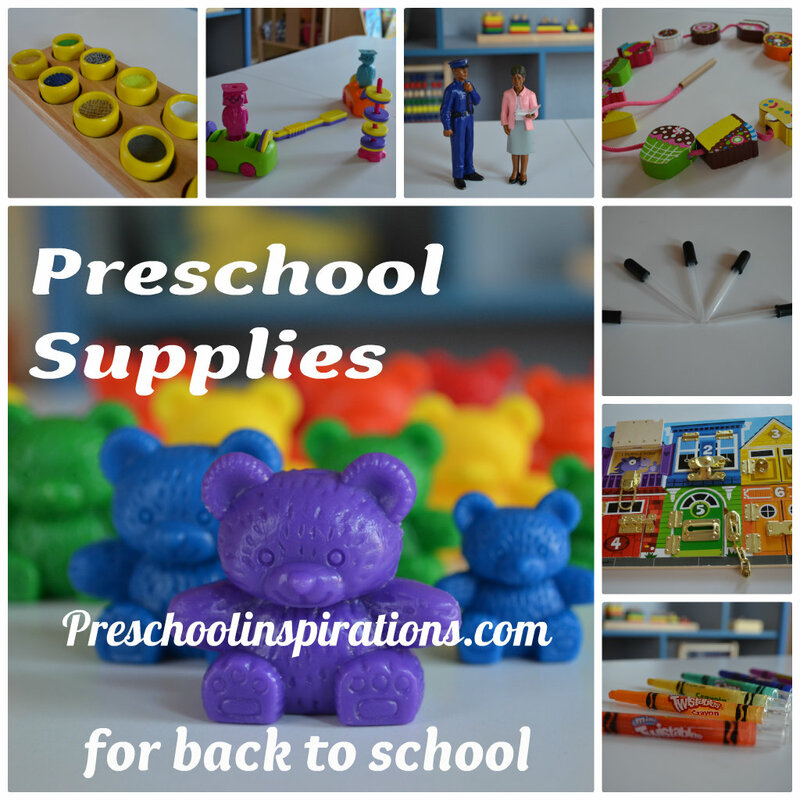 It’s back to school season, and I’m continuing my series on my favorite supplies for preschool aged children. The other learning domains I have written about are art, math, and science; music and movement; and manipulatives and puzzles. Now for two more fantastic ways to offer learning experiences to young children: through sensory play and fine motor skills. Sensory play crosses several learning domains, and while you could easily label it as science, I like to give it a category of its own. While sensory play is enriching for all children, I find it to be a daily essential for the kiddos who are very tactile learners. Fine motor skills are demonstrated in most art activities, so I won’t be going into those. 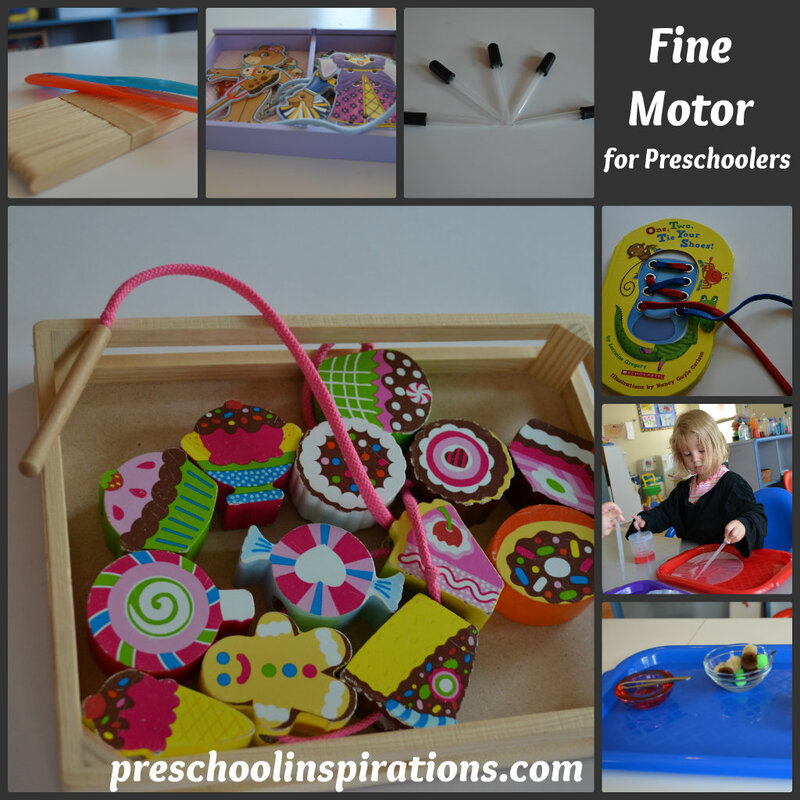 Instead I am featuring fine motor activities that can supplement everyday activities. I hope you enjoy! Sand & Water Activity Table: Don’t be scared by the name or price — a wide and shallow container would suffice if you did not have an actual sand and water table. I love to have one outdoors each day when the weather is nice, and we use one indoors as well (although not every day). These are great for the obvious sand and water, but I also love to turn mine into a well of bubbles or even add colored ice cubes. Dry items such as rice, beans, or birdseed also make for wonderful learning adventures. Sand and water play are great materials for children to discover and explore with each day. 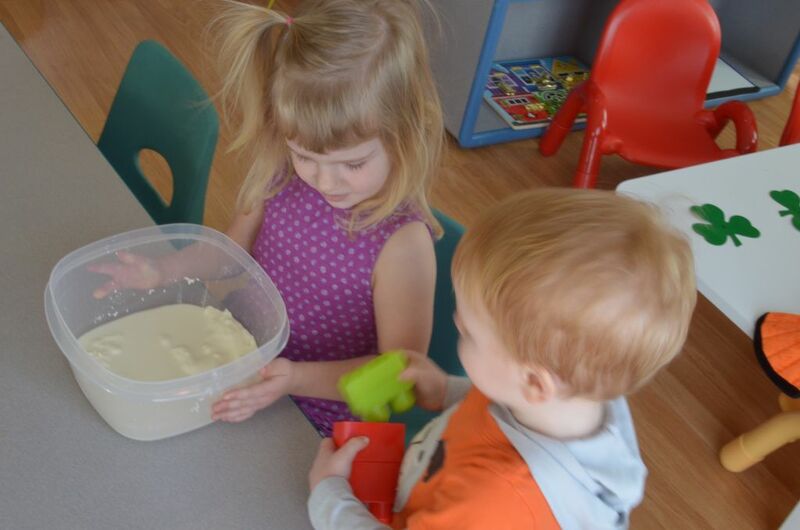 Sand: My sandbox is absolutely one of the most popular activities every week! Another one of our favorite activities is writing letters in shallow containers of colored sand. I buy play sand from a hardware store such as Home Depot or Lowe’s, and I can fill my entire sand box for under $10. Here is where I get our colored sand. 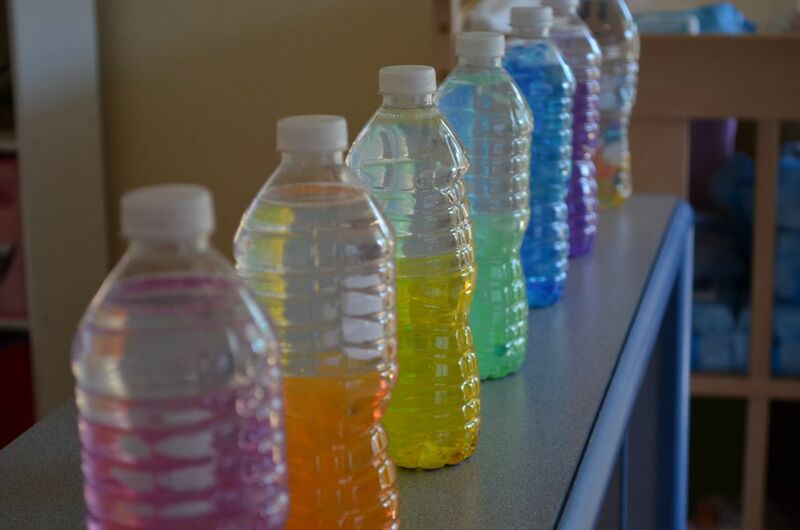 Discovery bottles: Also known as sensory bottles, these containers of visual bliss are absolutely perfect for providing a contained sensory environment! We make our own sensory bottles and add items to reflect different themes that we are studying. 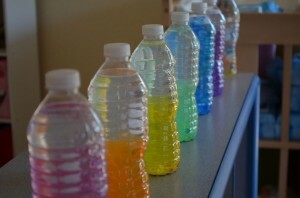 Here is my post with a tutorial on making a discovery bottle, and I recommend checking out some beautiful rainbow discovery bottles from Fun at Home With Kids. Sensory activities: You can make several sensory recipes. Some of my favorites are oobleck, gak/slime, anything foamy (and safe), and play dough. Or you can buy some water beads/aqua pearls/whatever other name they’ve thought of lately. These are perfect activities when you have one of those weeks that the kiddos seem to be extra busy! 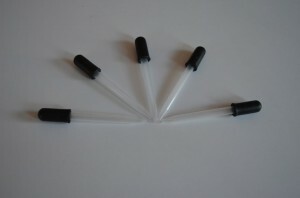 Eye droppers and pipettes: We try to use these almost every day to help strengthen the muscles which are used for writing and many other important hand coordination skills. They are especially great for watering our class greenhouse. I purchase both of these from Amazon. Lacing Activities : There are so many lacing opportunities out there: lacing beads, shoe lacing books, lacing cards, and lacing any objects such as buttons with a large enough hole. Lacing cards can easily be made by laminating a picture and hole punching it. I purchased the shoe lacing book with my class points from Scholastic. Free is great, right! Spreaders: We love to use the plastic knives from IKEA for spreading. Popsicle sticks also work great for this! I have been known to hand one to each child in my class so that they could spread cream cheese, jam, or peanut butter (if there are no allergies) on our snacks and sandwiches. Other tools: Some more great “tools” for enriching fine motor skills are tweezers, tongs, and spray bottles. 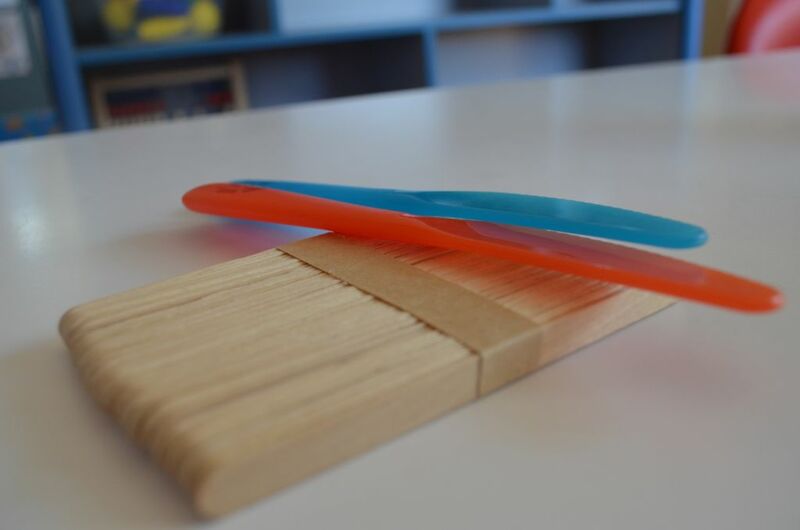 I have recently become fond of “practical living” Montessori activities, and I find that most of these activities involve these types of utensils. 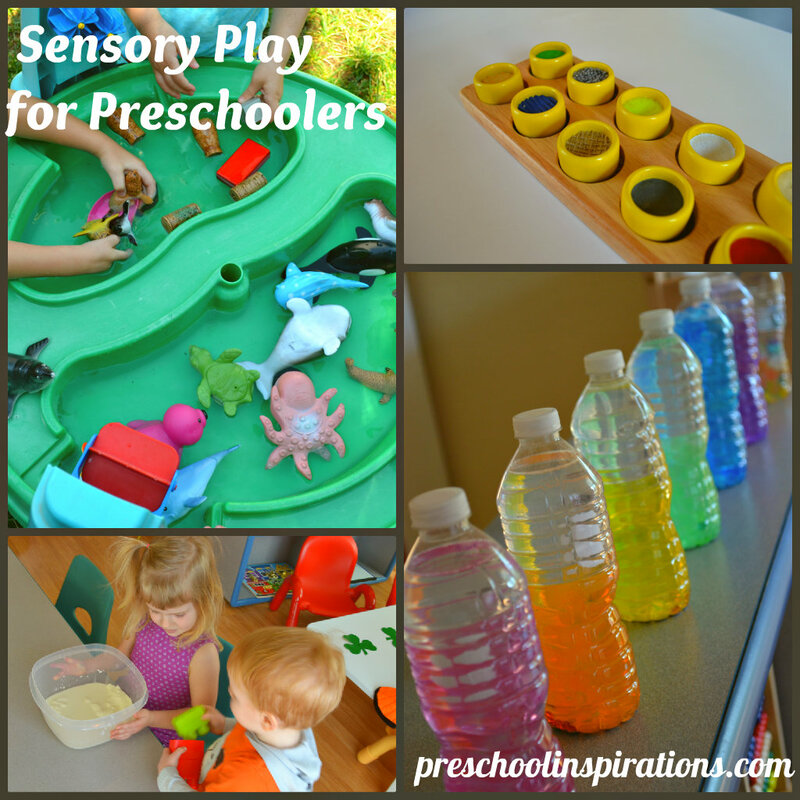 I would love to hear about some of your favorite sensory and fine motor activities!